Project RED announced the second iteration of its research. Phase III Project RED research will focus on student achievement, teacher and student behavior, and financial findings in the technology-rich Signature Districts that followed the Project RED Model Design for implementation. 1 Personalize learning for all students through frequent, appropriate use of technology integrated with curriculum and instruction in all classrooms and other learning places. 2 Incorporate “change leadership” consistently throughout the entire process. 3 Make professional learning and effective use of technology high priorities for administrators and teachers. 4 Use technologies such as social media, games, and simulations to engage students and encourage collaboration. 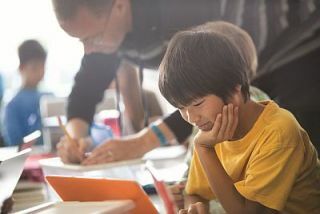 5 Use ongoing online (formative) assessments to gauge student learning and tailor instruction for personalized learning experiences.